Once the Torah was given, the Jews were commanded that if a man wants to marry a woman, he should take her first before witnesses, and afterwards she should be to him as a wife, as it says, “When a man takes a woman and comes upon her” (Devarim 22:13). The Rambam clearly states that Kiddushin is a mitzvah (he should take her before marrying her - in the Hebrew text, the marriage is referred to as לשא, a form of נשואין, Nisuin, the second stage of marriage; therefore, this must refer to the first stage of marriage, Kiddushin). [The Mishnah means to say:] It goes without saying that Eirusin [i.e. Kiddushin], by which he is not doing a Mitzvah, [should be forbidden,] but even Nisuin also, by which he does a Mitzvah, is forbidden. How can the Rambam learn that Kiddushin is a Mitzvah, when the Gemara explicitly states that Kiddushin is not a Mitzvah?! Rambam's son, R. Avraham, as cited in Kesef Mishne, end of Ishus 1:1, answers that the command is to marry with kidushin and nisuin, which is why Rambam refers to even the first part as a mitzva, meaning the start of one, but doing the first part alone doesn't do a mitzva. KM implies by his wording, q.v., that the main part of the dual mitzva is the second part. I realize that both msh210 and IsraelReader already gave answers based on this source, but I think that neither one explained it fully/properly, so I would like to attempt to answer it myself. My understanding of this is as follows: Rambam holds that there is a mitzvah of marriage which is made up of two components. 1. Kiddushin 2. Nissuin. If one performs Kiddushin but never gets around to doing Nissuin, he has started the mitzvah but has not completed it, and thus he is not considered to have fulfilled the mitzvah. Therefore, the Talmud in Moed Katan means that when one does Nissuin he is fulfilling a mitzvah (because having already done Kiddushin, he is now completing the mitzvah) but when one does Kiddushin he is not fulfilling a mitzvah (because not having done Nissuin, the mitzvah is incomplete). This explains how Rambam's view is to be reconciled with the Talmud. There is no indication of this explanation from Sefer Hamitzvot. There Rambam lists two mitzvot, one about procreation (#212) and one about marriage (#213). It is certainly implied that these are two separate mitzvot (i.e. one can fulfill the mitzvah of marriage without procreating), but there is no indication here that the mitzvah of marriage consists of Kiddushin + Nissuin. If anything, the implication there is that Kiddushin is the entirety of the mitzvah of marriage, as that is all that is mentioned there. 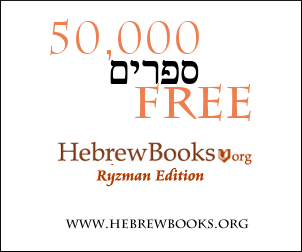 R. Avraham picks up on the fact that Rambam does not say simply "לקדש אשה" which would be sufficient if Kiddushin was the entirety of the mitzvah, but instead says "לישא אשה בכתובה וקידושין" which indicates that there is an additional component, namely, Nissuin. R Avraham then clarifies that the mitzvah of marriage (i.e. Kiddushin + Nissuin) is distinct from the mitzvah of procreation. The mitzvah of procreation is fulfilled by having a surviving son or daughter. The mitzvah of marriage can be fulfilled even if you already have many sons, many daughters, and many wives. For any woman that you want to marry, there is a mitzvah to marry her via Kiddushin + Nissuin. Good question. The "Kessef Mishnah" on the Rambam (Ishus 1:3) quotes R' Avraham, the son of the Rambam, who noted that this question was posed to him. הצווי שנצטוינו לבעול בקידושין: במתן דבר ביד האישה, או בשטר, או בביאה - וזוהי מצות קידושין. The 213th mitzvah is that we are commanded to acquire [by kiddushin1] a woman before having relations with her: either by giving her something [of sufficient value]; by giving her a document [of marriage]; or by having marital relations [for the purpose of kiddushin]. This is the mitzvah of kiddushin. My understanding of his answer is as follows. Kiddushin alone is not a mitzvah (which is what the gemara in Moed Kattan is referring to). The mitzvah is to procreate (Asei 212), with a woman whom we have previously given Kiddushin to. ובפרוש אמרו על קידושין בביאה שהם דאורייתא. הנה נתבאר שמצות קידושין דאורייתא. Our Sages (Kiddushin 9b) stated explicitly that kiddushin by means of relations is a Torah law. This statement proves that kiddushin counts as a law of the Torah. Not the answer you're looking for? Browse other questions tagged rambam ki-teitzei kiddushin-eirusin mishneh-torah masechet-moed-katan . Is Nisuin Biblical or Rabbinic? Does R. Avraham Ben HaRambam really hold that only one child is necessary for peru u'revu? Why does Rambam say the omer can be cut by day and on Shabas? Are there communities that follow the Rambam? Difference between the RamBam and Talmud Kiddushin 82a in list of jobs that posul a King/High Priest? According to the Rambam, how do you shake the lulav? What does the Rambam say about ghosts? How can a man give a woman a gift without getting himself into a safek kiddushin? Sending away the mother bird, mitzvah at the onset?